This week is the third annual Latino Conservation Week, a chance for Latinos all across the country to demonstrate their passion for enjoying and protecting public lands. Few places is that passion more evident than here in California. The spirit of conservation is woven throughout our state’s history. It was here in California that John Muir founded the Sierra Club and led a movement to establish our first national parks, including Yosemite and Sequoia National Parks. That spirit continued in the artwork of Ansel Adams, the California native whose photographs uniquely captured the beauty of our public lands. His prints made nature more accessible for the average person and inspired a new generation of conservationists. Thanks to his photographs, places like Kings Canyon National Park are now protected for all to enjoy. And that spirit lives on today. Since Congress passed the 1994 desert conservation bill, which created Death Valley and Joshua Tree National Parks and the Mojave National Preserve, we’ve tried to build on that legacy by preserving even more of the California desert. Earlier this year, President Obama created three new national monuments in the desert: the Mojave Trails National Monument, the Sand to Snow National Monument and Castle Mountains National Monuments. These monument designation would have never come to fruition if not for overwhelming public support. Latino conservation groups played a significant role in building that support. Last October, I held a public meeting in Whitewater Canyon with the U.S. Departments of Interior and Agriculture on the proposed national monuments designations. It was encouraging to see leaders from the Council of Mexican Federations, Hispanic Access Foundation and the Por La Creacion Faith-based Alliance on hand to lend their voice of support. Additionally, over 100 Latino faith leaders from Assemblies of God Southern Pacific District signed a letter to President Obama urging him to take action to protect the California desert. Members of these groups have also been working to educate Latino communities on the value of preserving the California desert. They have organized hikes, camping trips and other events so more people can experience first-hand the rugged beauty of the desert. For many, that first exposure to vast California desert is enough to inspire a lifetime of outdoor stewardship. Such was the case for a city-girl from San Francisco. I can still remember the first time I saw the shadows of the Joshua trees as they fell across the landscape, the wildflowers blooming in the spring and the brilliant array of stars that lit up the night sky. I remember the feeling of first seeing big-horn sheep playing in the mountains or an 80-year old tortoise crawling along the desert floor. I realized during those early trips that the California desert is a major part of our cultural heritage — a tribute to what the American West once was. And I’m proud of our efforts to keep it pristine so future generations can share those same experiences. 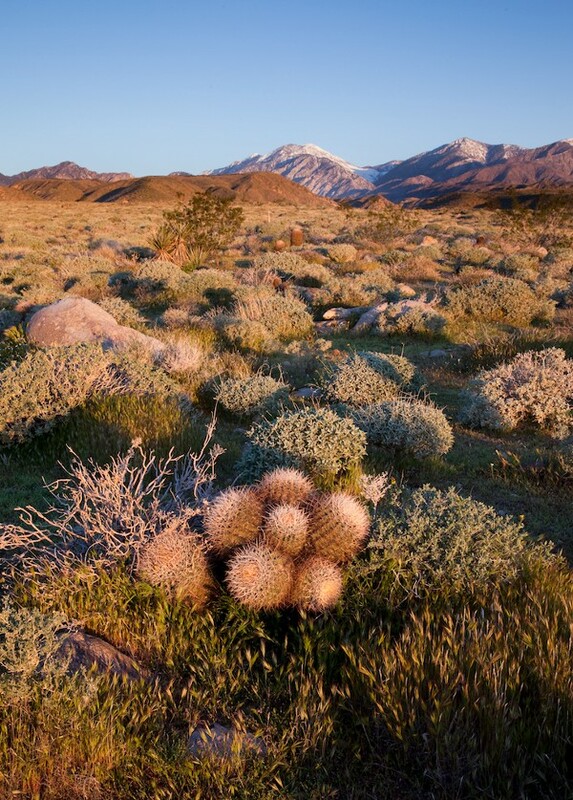 National monument designation was an important step to preserving more public spaces in the California desert. However, we must continue to look for new opportunities to preserve even more parts of the California desert and expand protections for other public lands. The Latino community will play a major role in those future efforts. Thanks to events like Latino Conservation Week, more Californian Latinos will be encouraged to experience the outdoors and will be inspired to join the effort to preserve and protect our public lands. The strength of any movement can be measured by the diversity of its members. That is why I am proud to see the spirit of conservation live on in the Latino community and throughout all of California.